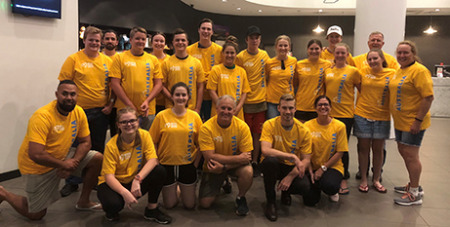 More than 1000 young people from across Australia will be jetting off to Panama this week to attend World Youth Day, which begins on January 22. Source: ACBC Media Blog. Mr Hart said approximately half of the Australian contingent would visit Mexico City to visit the shrine of Our Lady of Guadalupe, one of the most popular Marian shrines in the world. He said most groups are flying out today and tomorrow. New South Wales will send the largest contingent, with most participants from the greater Sydney area. For more information about the pilgrimage, visit www.wyd.org.au or www.panama2019.pa.